Headup Games has released a new trailer for The Inner World. 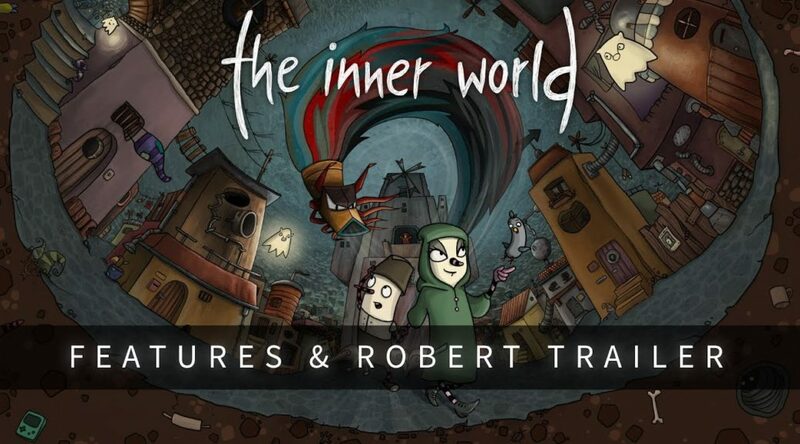 The trailer, called Features & Robert, introduces players the features that can be found in The Inner World. Holy flute nose! The Inner World and its successor is coming to Nintendo Switch™ on August 3rd, but what to expect from the game? And who the Peck is Robert? And Peck? Who is Peck? Just check out the new Features & Robert Trailer to learn more about it. On August 3rd, owners of Nintendo’s portable console can finally accompany our beloved hero Robert and his friends on his two journeys across the enchanting world of Asposia. Both games –below their very fun and innocent surface– focus on serious topics like fascism, racism and fanatic politics, or question ruthless religious leaders. In times like ours it seems fitting to play games like these. So, playing The Inner World can make the world a better place!